Sea Shepherd Legal (SSL) will make a presentation on April 27 in Seattle at a hearing to be held by NOAA Fisheries on the proposal by the Makah Tribe to kill gray whales in the waters off Washington state. SSL's position is that this permission should not be granted and that whales must be protected 100 percent in US waters. "This is not tradition. It was part of our culture to weave baskets and to pick berries in the mountains. It was part of our culture to speak our language. No one want to weave baskets or to speak Makah. What they want to do is to kill a whale with an anti-tank gun - and that has never been a part of Makah culture." 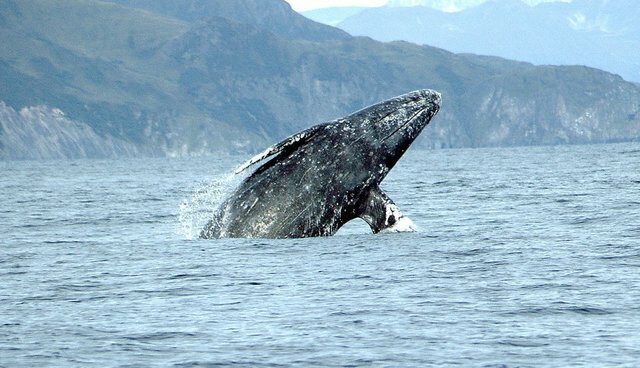 Read more: "Makah tribe grey whale hunt question reopened by NOAA report"